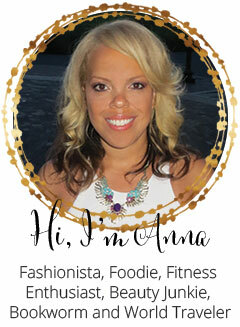 I received a comment asking me what did I eat while in Spain. People ask me if it's hard being a vegetarian and in the USA honestly no. For my trip to Spain I brought my Shakeology with me to get a boost of protein and vitamins everyday at breakfast. Generally my only option at breakfast was a baguette with cheese, usually manchego cheese (sheeps milk cheese from La Mancha) and some fruit. I absolutely love manchego cheese, you should try some if you never have! Pork is eaten a lot in Spain. Everywhere I went there would be a cured leg just sitting around in a bar attached to a cutting board or hanging from the ceiling. Let me give you the history of that - during the Moorish rule, Christian, Jews and Moors lived together in peace. However when the Moors were kicked out, people would prove they were Christian by eating pork; hence its popularity arose. 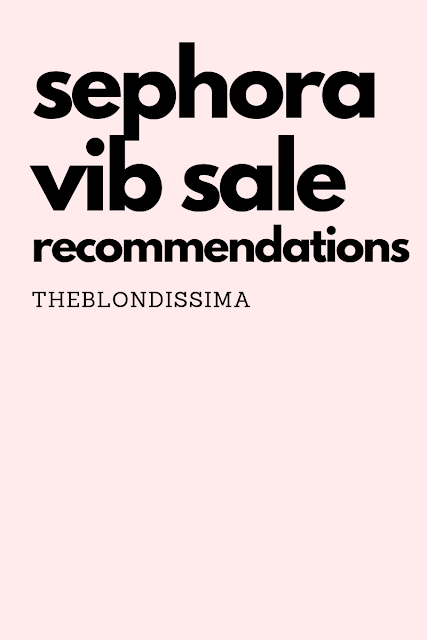 Italian explorer Christopher Columbus convinced (after several attempts) the Queen of Spain to sponsor his voyage and she only gave him a chance because at the time the economy was poor in Spain and her advisors told her to take the risk in the event he might bring back something. He introduced tomatoes, chocolate, vanilla, various types of beans and potatoes into the Spanish cuisine from his voyages to the New World. I didn't have paella as much as I was expecting. Most places had a poster listing a half dozen flavors they had, I assumed it was frozen because how can so many places have the same sign right? I did go to a restaurant that made it fresh and we had to wait quite a while for it. They required two people to order a paella and luckily someone was willing to get vegetable with me! 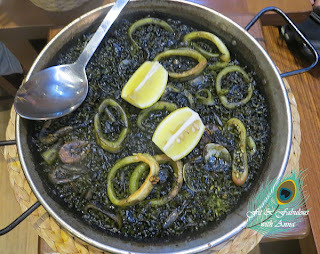 The black colored paella is black from the ink of the black squid. 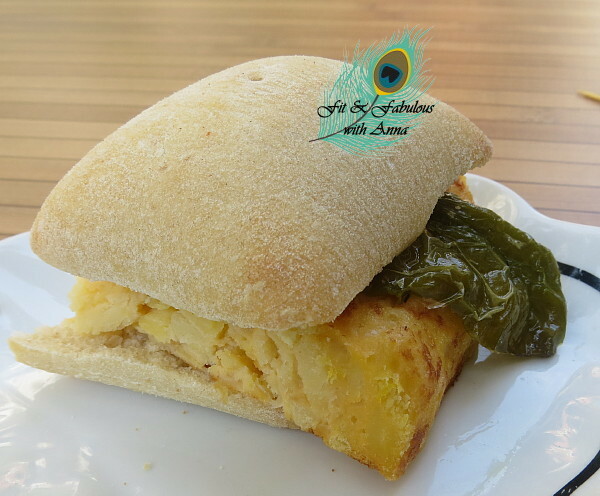 I often ate Tortilla de Patata (Spanish Potato Omelet) which I have to say was the most common served dish everywhere. My first meal off the plane, I took the train from the airport to my hotel, stopped into a random shop with my suitcase and just pointed to something. Was shocked to get this between two pieces of a baguette in a sandwiches or bocadillos as they call it. I just thought starch on starch? lol I grew to appreciate it as it's not too eggy and more potato tasting. It was served hot as appetizers in restaurants by itself or it was often served cold at breakfast. Bars would serve tapas or pinchos and drinks super cheap, like €1.5 for a glass of wine and one tapa (which is a small snack). Patatas bravas were always on the tapas menu. It's potatoes that have been cut into irregular shapes and then fried in oil and served warm with a sauce such as a spicy tomato sauce or a mayonnaise. Gazpacho was often served as a starter in restaurants. Sometimes it was served in a shot glass. I never liked it at home but enjoyed it in Spain. Espinacas con Garbanzos (Spinach and Chickpeas) was frequently on bar counters as a cold ready tapa. Pisto a ratatouille of roasted vegetables (onion, pepper, eggplant, and tomato) that are then lightly pureed into a chunky sauce was popular in Granada. I drank a ton of sangria but to be honest most of the time I tasted no alcohol. One oddity I found was that McDonalds serves beer. The hardest part was walking into a chocolate/pastry shop and not being able to order anything because you can't understand the ingredients. Being on a low-calorie diet for an extended period of time will also significantly decrease your total daily calorie burn. To help overcome this so that you can burn calories faster, implement diet breaks every four-six weeks while on the program.Two days of higher-calorie eating will immediately help reverse the resulting sluggish metabolism and help you burn more calories total. 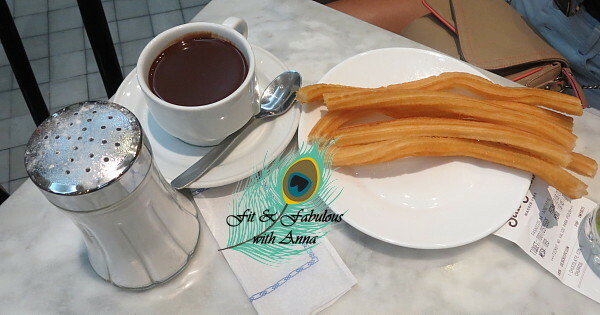 Churros are a long crispy star shaped fried-dough pastry you dipped in thick hot chocolate. It's easily cooked in a pan on a stove and was an alternative to baking a dessert in an oven. 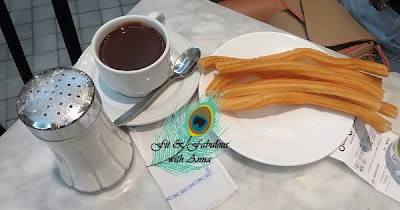 There were churro shops that only sold fresh churros. Sometimes I saw it at breakfast or in restaurants for dessert. 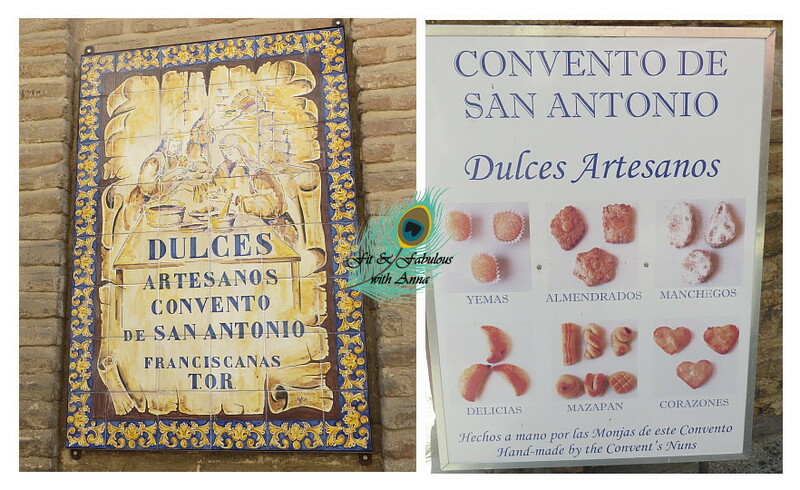 In Andalusia the nuns at convents sell sweets and it's a very ancient tradition. See winemakers used to use egg whites to help purify the wine so they didn't have use for the yolks. So they would give the yolks to nuns at the convents who would then make cookies called yemas to sell. Today customers walk into an empty room, there's a lazy susan installed on the wall, you ring a bell and place your order. You never see the nun. Toledo is famous for it's mazapan and that's what I got to try from one convent. One of the things I was always on the quest for was cheap water. It was 90 degrees in Spain and I needed to keep hydrated. However shops and gas stations would sell 1 liter bottles of water for €1.5 or more! That's more than $2 for a bottle the size of a small plastic coke bottle. Considering I could drink two a day, that was expensive. So I often would be on the look out for grocery stories where the larger bottles would be around 40cents.